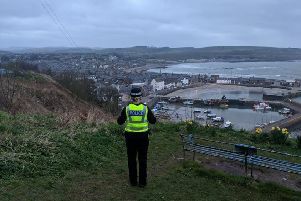 A 21 year old man has been charged in relation to an alleged incident of intended theft at a medical practice in Stonehaven. The alleged incident occurred on Thursday 7 September at around 4pm at Stonehaven Medical Group on Robert Street in Stonehaven. The man is expected to appear at Aberdeen Sheriff Court today (Wednesday 27 September 2017).